Yesterday Facebook is shutting down Parse (Building apps isn’t easy). In a blog post, Parse that it will be totally shut down on January 28th, 2017. “We have a difficult announcement to make. 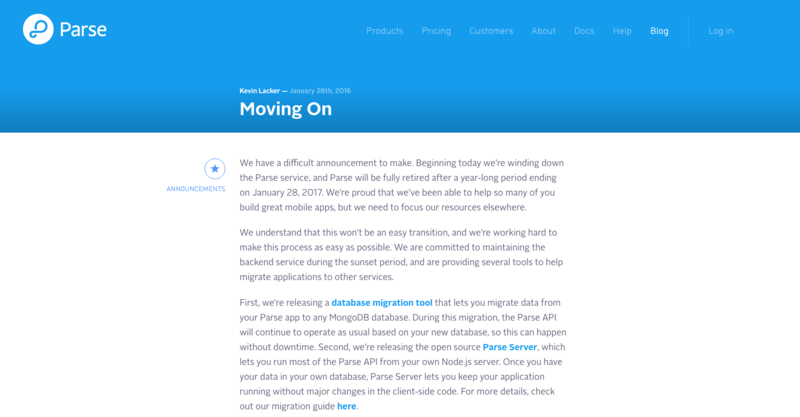 Beginning today we’re winding down the Parse service, and Parse will be fully retired after a year-long period ending on January 28, 2017. We’re proud that we’ve been able to help so many of you build great mobile apps, but we need to focus our resources elsewhere. But we have a solution for you: use Batch.com! 10 essential tools for 2016! Aircall: The best phone system for you team. Description: Aircall isn’t just an application for managing calls to your business, it’s an all-in-one tool that will allow you to create a number in more that 40 countries, have a team for every number, and receive your calls from anywhere using a simple internet connection. Plan: Starter $10 / Month. Until Sunday January 22 we credit your account with $108 on SaaS Invaders! 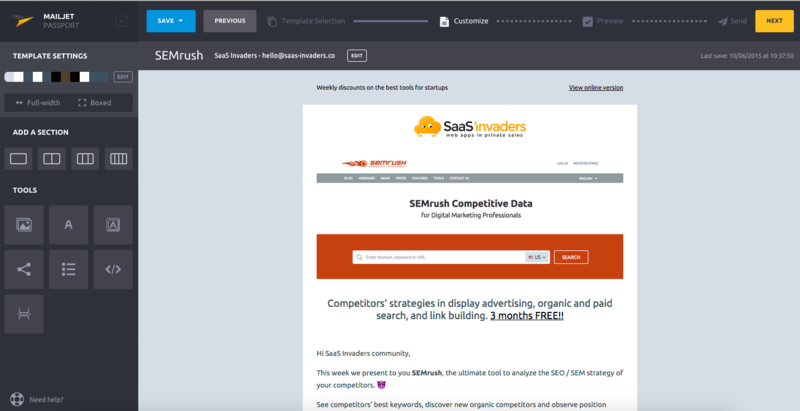 Description: Send emails directly from your Linkedin, add automatically prospect on Pipedrive and get notified on your Slack! If you want more information, read this article! 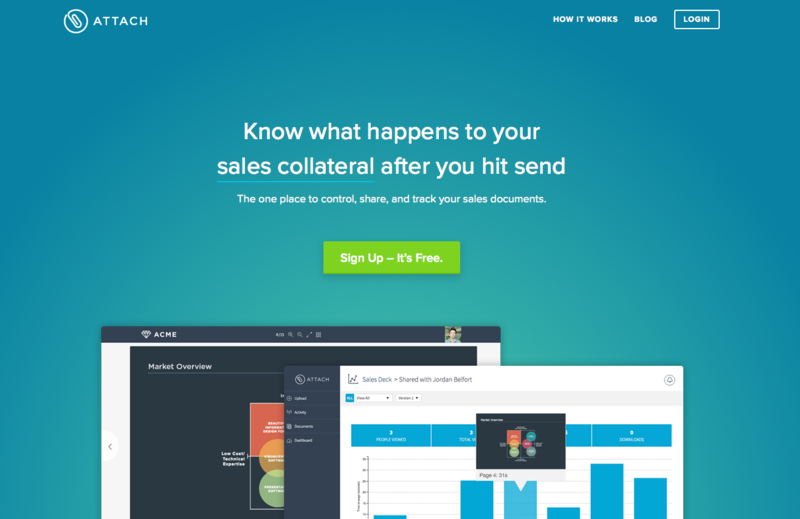 Attach.io: The one place to control, share, and track your sales documents. Description: Send your documents with Attach, know who opens, what pages they read and close more deals! Plan: FREE for 3 documents. 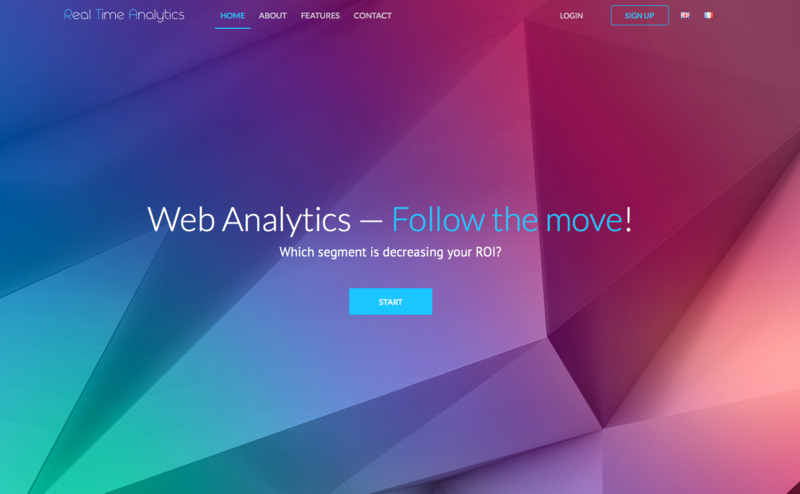 Real Time Analytics: Google analytics, much better! Description: Real Time Analytics it’s a perfect tool for to maximize your ROI. Real Time Analytics analyses the multiple channels acquisition about past and real time traffic to give you accurate projections about future traffic on your website. Description: Heap automatically captures and track every user action on your website or your app! Description: Spend 1 minute setting your availability preferences. 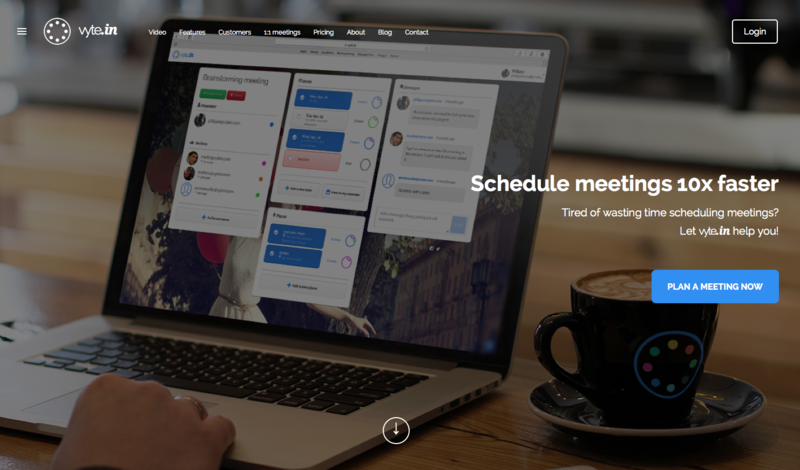 Share your personal scheduling page with Clients, Users, Customers. They visit your Vyte page to pick an acceptable time, and the meeting is added to your calendar. Description: With Polymail start a new experience with this beautiful native app for Apple OS! 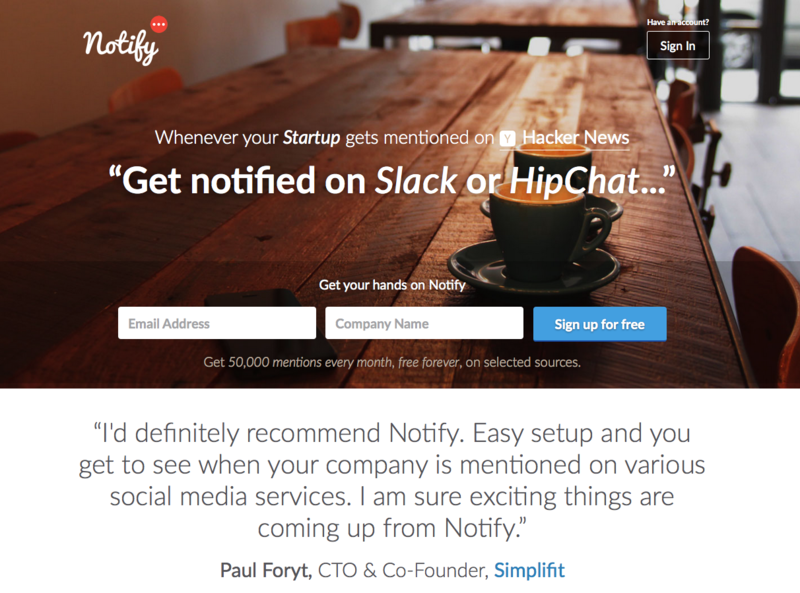 Description: Get notification in your Slack when your startup is mentioned online! 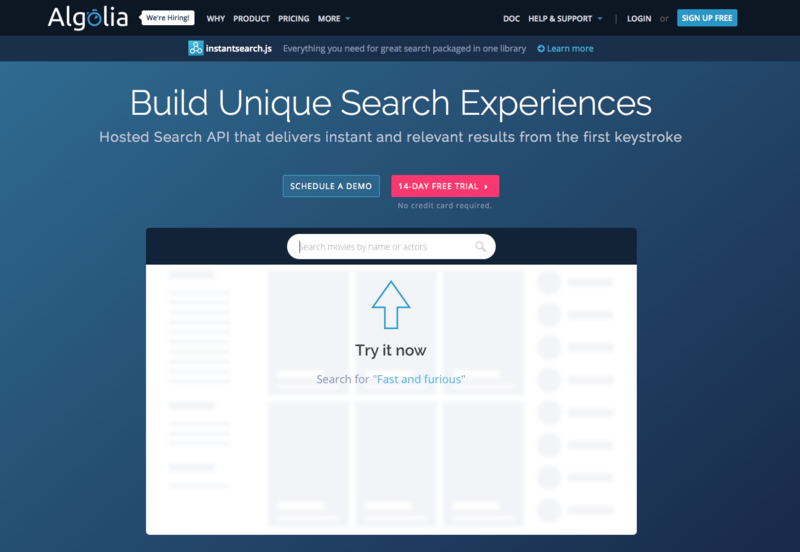 Description: Incredible tool to hosted search API in your website and revelant results from the first keystroke. Plan: Hacker FREE 10,000 records. 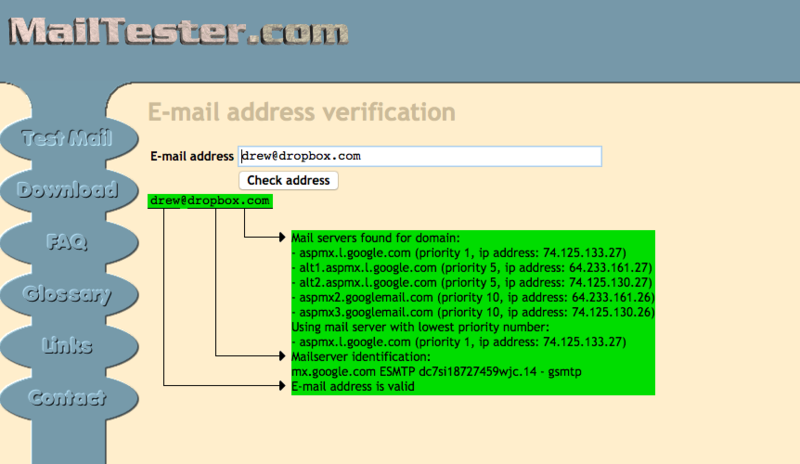 Description: All in one tool for your Gmail: track emails, set up meetings in an instant, use templates, schedule emails! 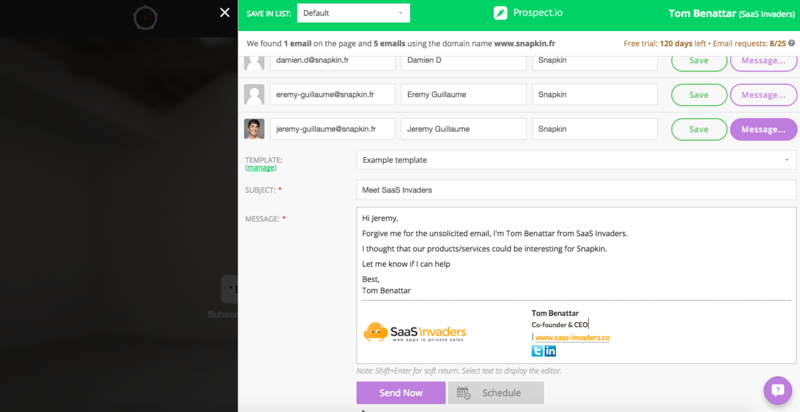 Perfect #SaaS combination for your sales prospecting! 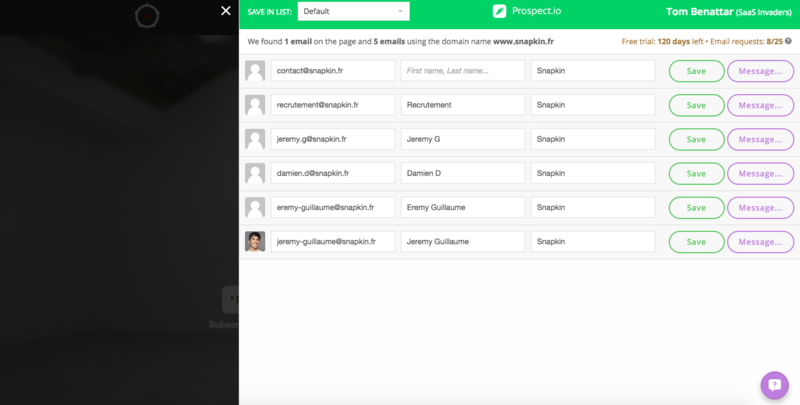 Today i would like to present you a perfect SaaS combination for your sales prospecting! With this 3 tools you will really increase your productivity in your startup. The 3 tools we are talking about ? 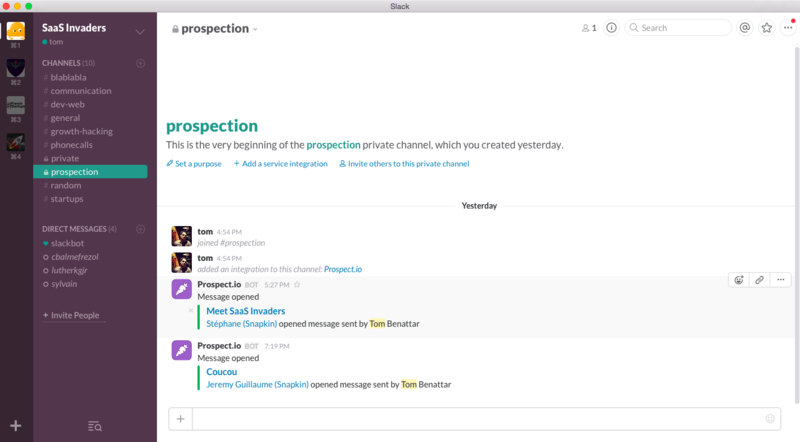 Slack (a messaging app for your team), Pipedrive (sales pipeline) and Prospect.io (online prospecting). 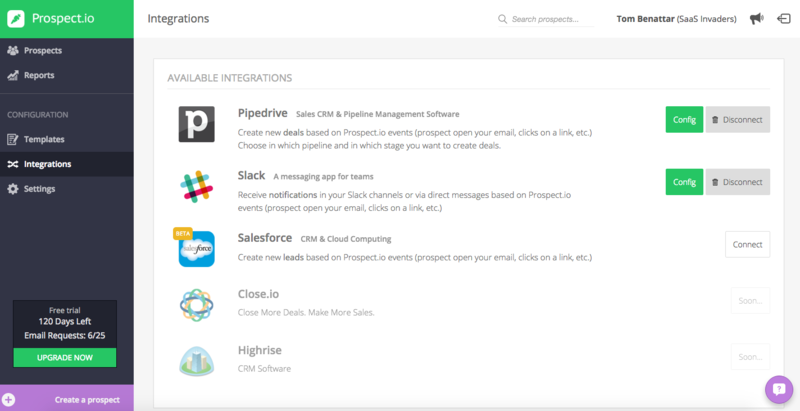 Step 1: Integrate Slack and Pipedrive in Prospect.io (really simple!). I integreat my prospect to PipeDrive when i send an email. 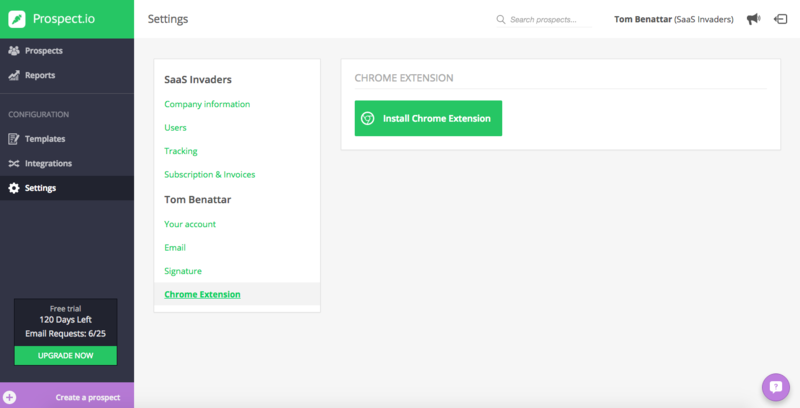 Finally, install the Chrome extension and let’s go to the next step. Step 2: Go to the website of your next prospect! Here, I chose the website of Snapkin, the Startup of my friends Jeremy and Damien. 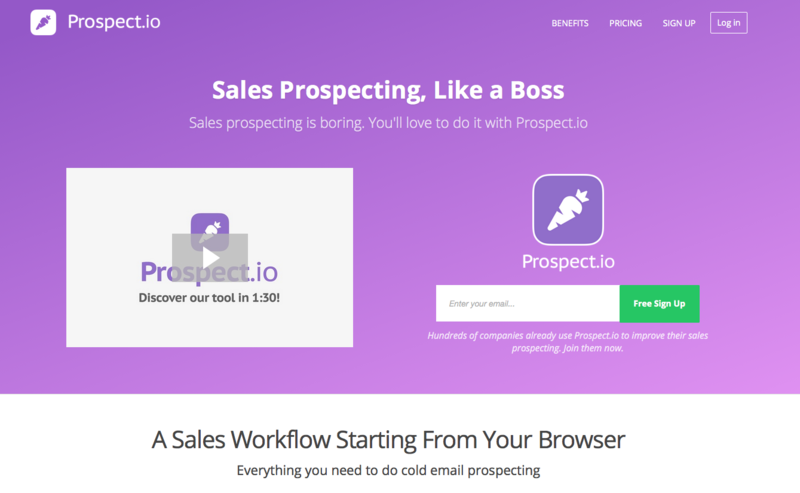 The pluggin of Prospect.io automatically detects emails on the website you’re visiting! I can send an email directly to Jeremy from my browser. You can also add a signature and templates. 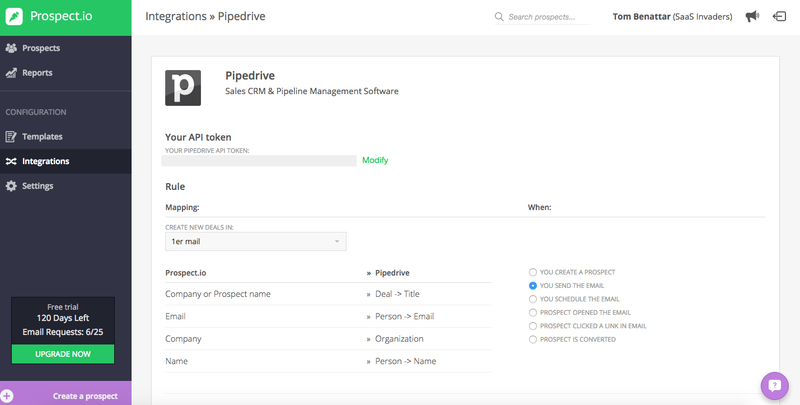 Once you sent your e-mail, Prospect.io will automatically add my new prospect in my Pipedrive! 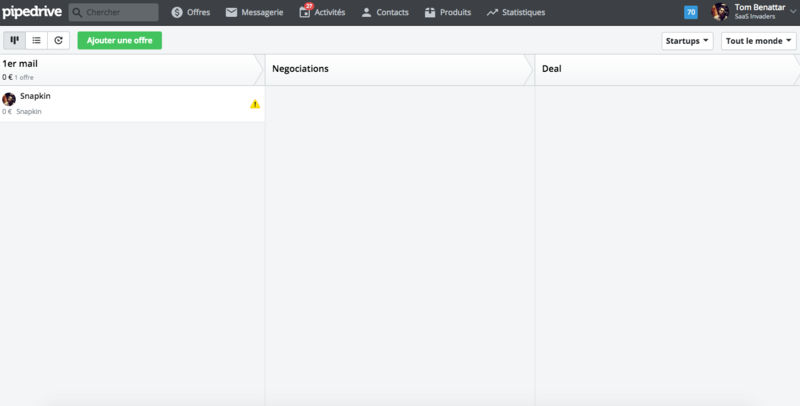 And last point, but not the least, Prospect.io sends you a Slack notification when Jeremy would have open my email! Now, sales prospecting like a boss! Ben Tossell is the community manager of Product Hunt. He is part of the team we manages an amazing community, 103K followers on Twitter and 20K fans on Facebook! Today he shared with our community 5 tools that make his job easier and more efficient! Respondly is a web app for managing your community on Twitter with your team! Intercom it’s a perfect tool for communicate with your customers! All in one app including many features for manage your customers. You can chat with your visitors in real-time, engage your community with targeted email, push & in-app messages, get customers feedback and inside your app help your customers. Slack has the most impressive growth over the past 10 years! 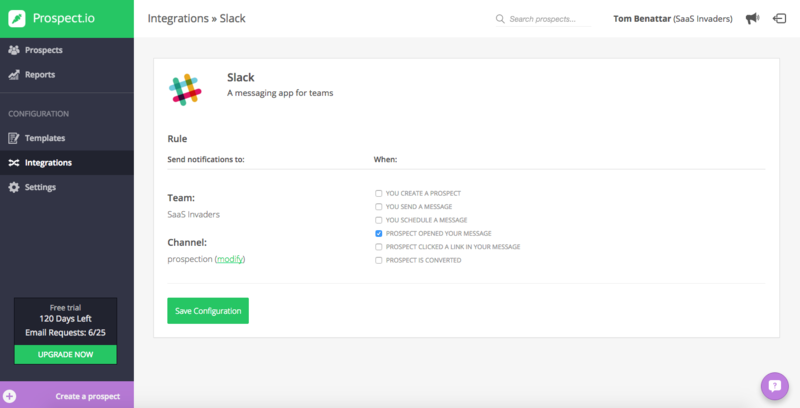 Slack it’s a messaging app for teams. With Slack you kill e-mail in your startup, 48.6% reduction in internal e-mail! And 32% increase in team productivity! 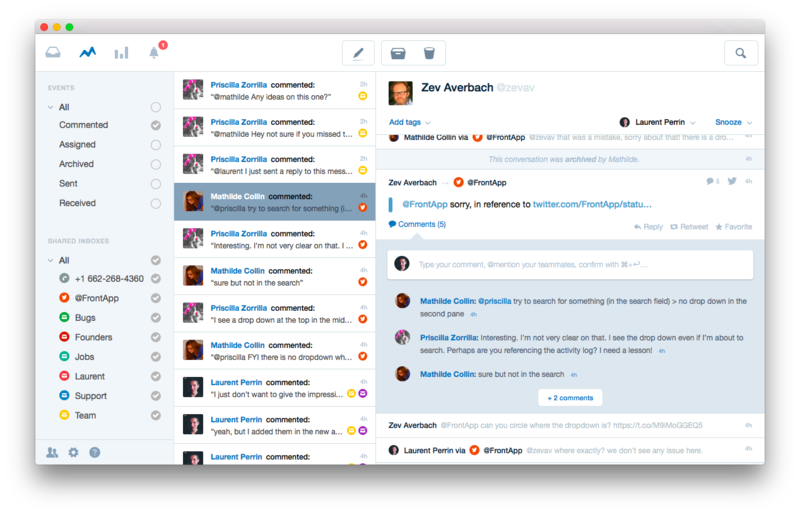 If you want to know more about this wonderful tool, read Why you should start using Slack right now! Ben and Product Hunt team obviously uses Twitter! 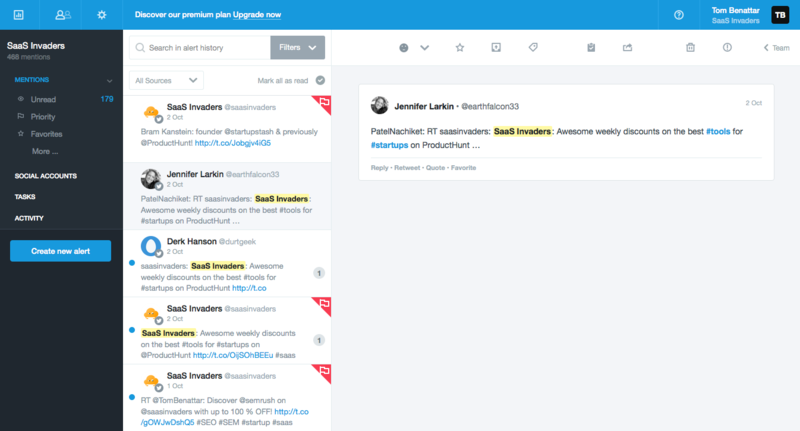 For Product Hunt, Twitter is an impressive tool for managing their community and to discuss with her! 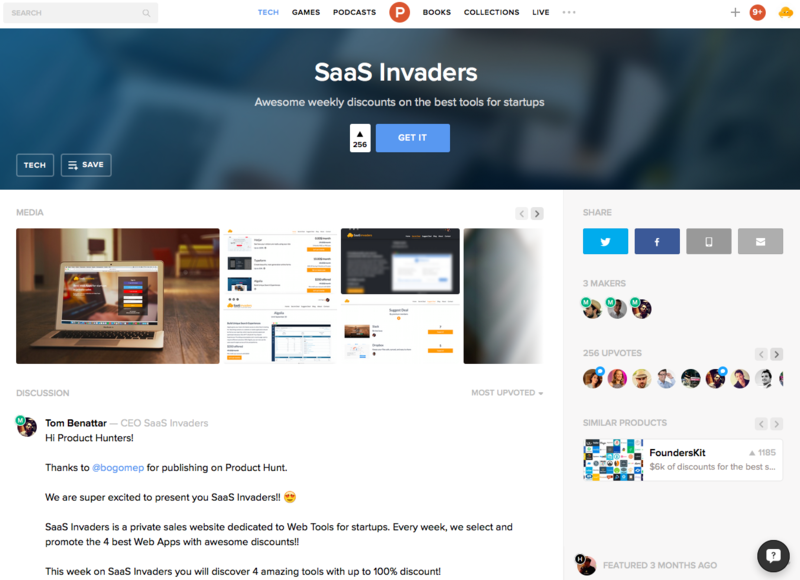 Finally, Ben uses Product Hunt (off course)! 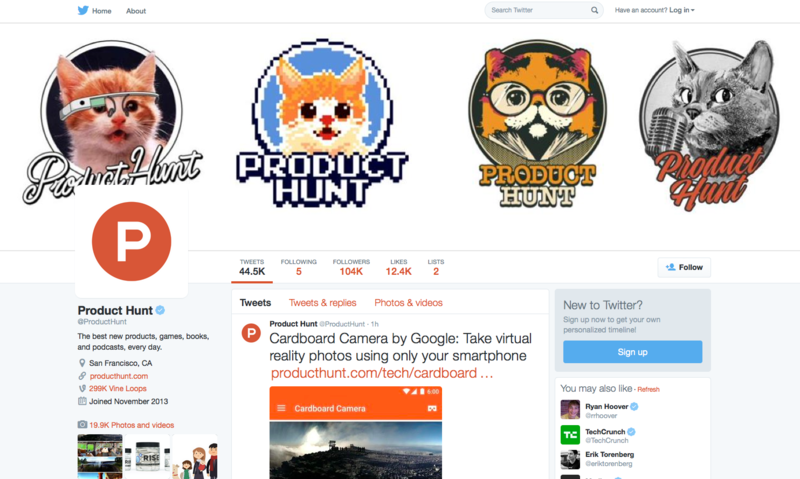 Product Hunt is a website that highlights best new products, games, podcasts and books! Every day, discover a selection of the best news tools on the web! Thanks Ben for your recommendations with our community! Hi Jason, a few lines to tell us a bit more about your career? I’ve been a 2x founder selling to enterprise with 2x pretty good exits, and now do VC and angel investments and founded SaaStr, the largest web community for SaaS founders. We get almost 3 million views a month now and will have 5,000+ founders at the ’16 SaaStr Annual in February. In your opinion, what are the succes criteria for a start-up on a SaaS market? The bar has gone up today. Ultimately, it’s all about getting to $1m, then $10m, then $100m ARR as fast as you can without burning out. You can get there super fast like Zenefits or Slack, or you can start more slowly and then accelerate, like Atlassian or Qualtrics, there are different ways to get there. But to raise venture capital today, you probably have to be growing 15% month-over-month at $1m ARR or close to it. 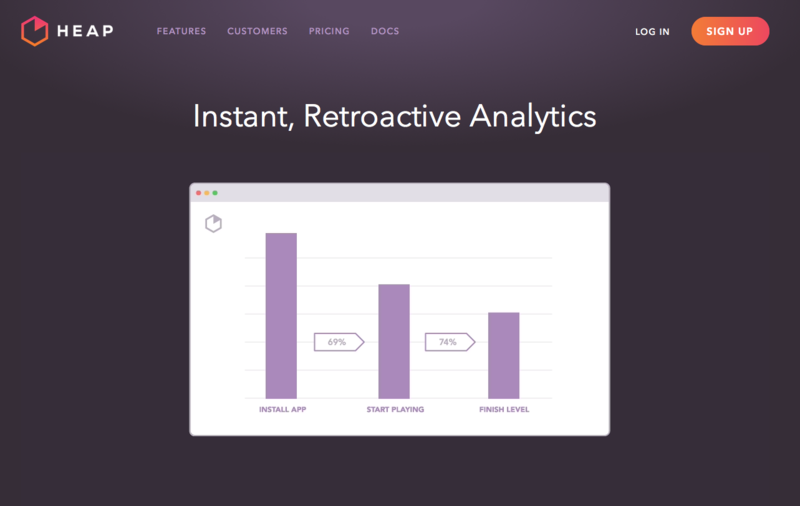 Can you give us THE metric to monitor when you have a SaaS? After $1.5m-$2m ARR I think top line growth and net cash burn tells you almost the entire story if you are growing 12% a month or faster. Before that, I try to see if you have any leads, and where you get them, and try to see the future from that. I call this Lead Velocity Rate. And finally, growing your average deal size is path #1 to growing revenues more quickly. What are your criteria for investing in a SaaS startup? 3- company doesn’t have to be even remotely hot, but it’s important than in 12-18 months it can be. If it isn’t hot then, then the Next Investor may not write the next check. Love ’em both to death. Founders better than me. Better unit economics than I had at EchoSign. And both weren’t “hot” when I invested, but now are. Algolia is a pre-nicorn already and FrontApp has crossed into Initial Traction and is doing all the right things to build a nine figure ARR business. My thoughts here are actually less valuable than they were say 3 years ago when I was running my own SaaS company. Today, my “company” is tiny and we run it on Google Apps, WordPress, AWS, Mailchimp, Slack, Trello, Zenefits, and Eventbrite, plus a bunch of social tools. 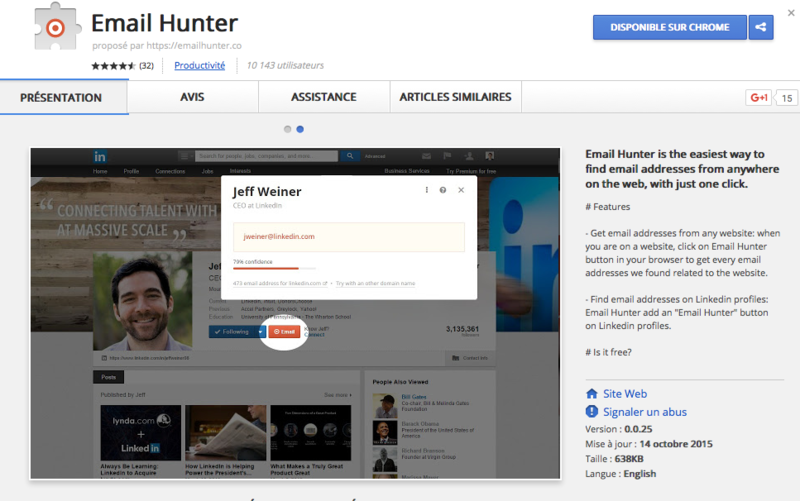 Everyone needs to find emails, Email Hunter for Chrome is an indispensable tool for that! eFounders is a startup studio created by Thibaud Elziere and Quentin Nickmans. The studio builds SaaS products and especially 5 amazing Web Apps: Aircall, Mention, Mailjet, Front & TextMaster. Aircall is a tool for create your phone support in minutes! You get phone numbers in 30 countries directly in your app. You can assign calls at your team, custom messages, decide when your numbers is open to receive calls, analyze your performance and more! Mention is the web monitoring platform. Mention monitor all the web, websites, blogs, Facebook, Twitter, Youtube and billions of sources in real time! With Mention you never miss a conversation about your startup, you identify the influencers and you react immediately with your dashboard. 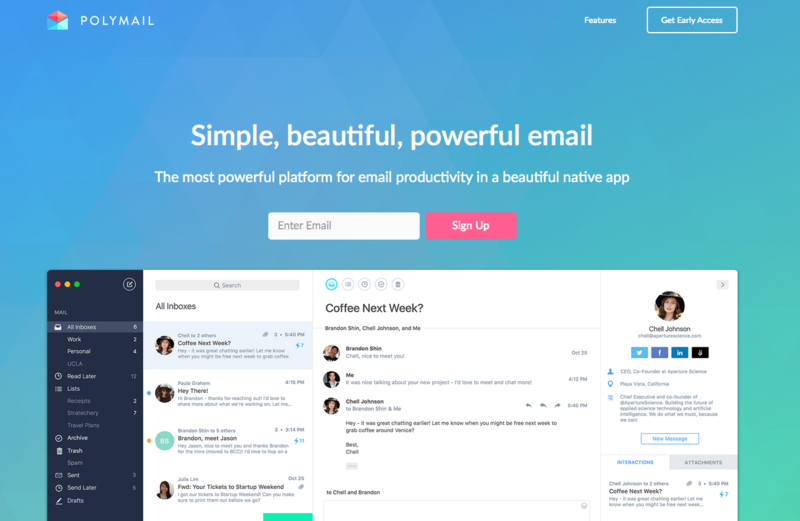 Mailjet is a email marketing tools to propel your startup! 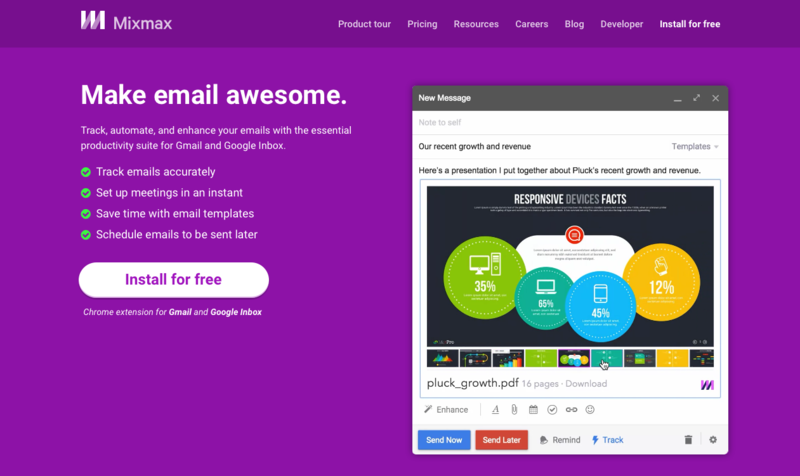 One solution for email marketing. 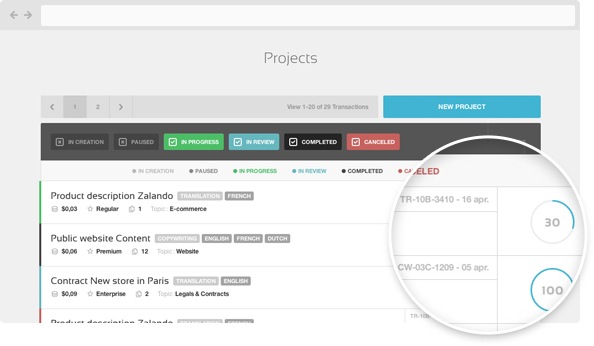 With Mailjet you can create contact list management, personalize your email campaigns, use beautiful newsletter templates, sending email with SMTP relay, segment your contact list, run A/B testing and track all results! 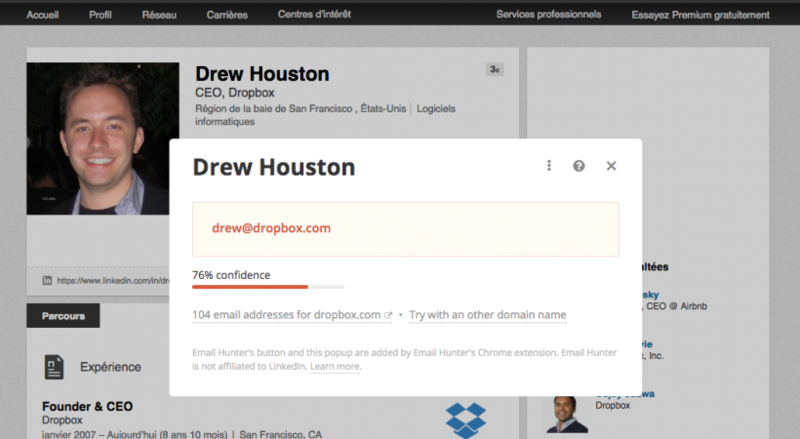 Front is an incredible and simple tool for manage your inbox. With Front you receive and respond to all of your conversations directly in one application. Email, phone, SMS, Facebook, Twitter in one place! No more missed messages, great collaboration with your team, analytics into your team’s inboxes and find all your messages. Starter offer is FREE! ? 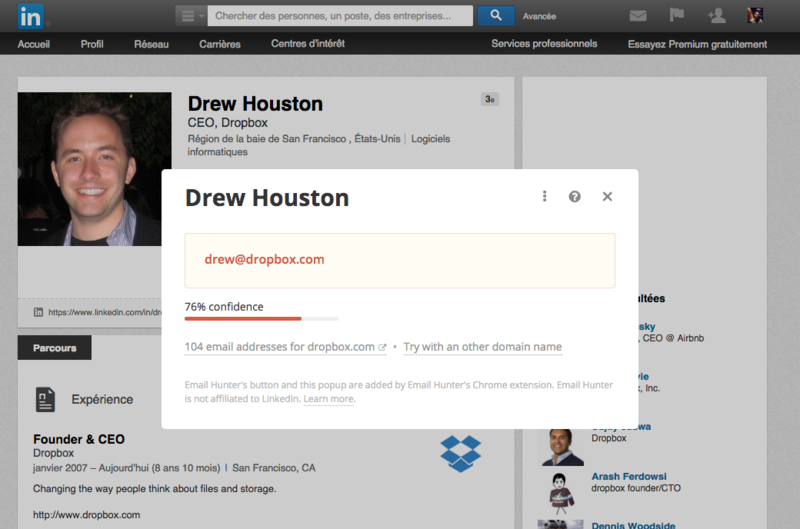 (1 team inbox, 5 users). TextMaster is a online translation service. One place for translate all your content in more than 30 languages (web, newsletter, legal, marketing, technical, SEO, business content…). TextMaster select qualified freelance writer & translator! Online intuitive platform for translate documents and you receive your translations in just a few hours. Basic offer is $0,039 per word! And if you want take great informations and news about SaaS resources read the SaaS Club Newsletter by Rachel Vanier! 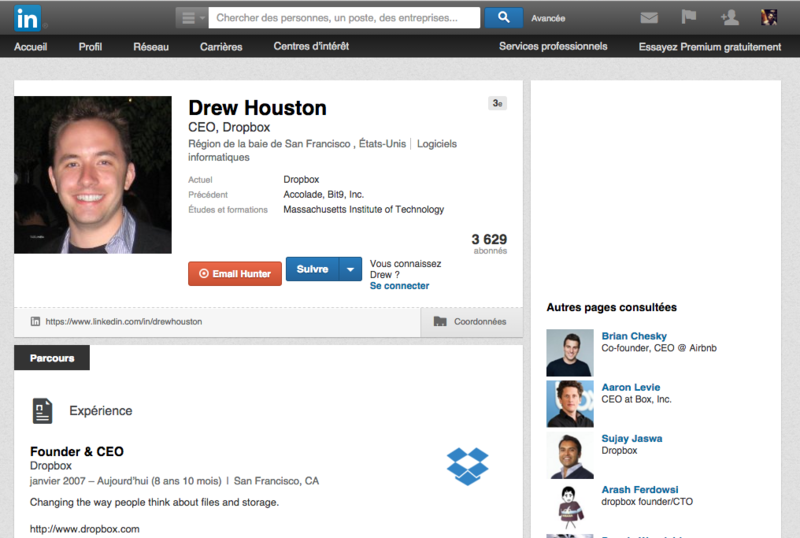 Perry Oostdam Co-founder & CEO at Recruitee a fast, easy, collaborative hiring tool! Hi Perry, could you tell us how did you come up with the idea to launch your start-up ? I’ve met my co-founder Pawel online -on a platform for entrepreneurs. We’ve started GeoRun (a gps-based gaming company) four years ago. When our team grew, we looked around for a handy recruiting tool. We couldn’t really find a simple and intuitive tool, and decided to build our own tool for internal use. Several startups in Amsterdam and Poznan started to use our solution as well, and we realized Recruitee could be turned into a separate business. One year later, we’ve pivoted our business and got the whole team working on Recruitee. Could you introduce your app in few lines ? 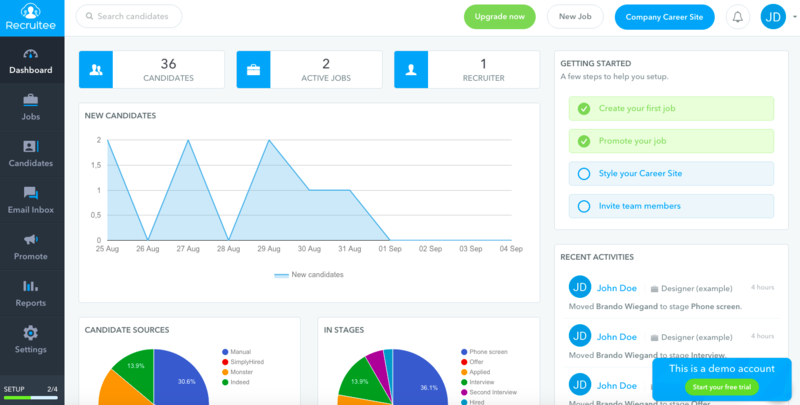 Recruitee is a fast, easy, collaborate hiring platform. We aim to be an industry standard for fast-growing teams, proving them with both a backend recruiting tool (ATS) and career site editor (employer branding). Would you share with our community one funny anedocte about your start up ? When we started this project (Recruitee had another name back then), we bought a domain name on one of the big auction sites. We had no external cash and decided to bootstrap our business at least till breakeven. After two weeks of being live, we received a very angry letter from a NY law firm indicating that our name was infringing on their copyright. Damn it, and that after two weeks! We bluffed that our operations would stay in Europe, and our initiative wouldn’t hurt their business in the US. One week later, a domain name broker approached us, asking if we would consider selling the domain. We ended up selling the domain name for an amount that brought us to breakeven ;-). If you had to compare your start-up, would it be a movie, a sport or a music band ? Which one and why ? A movie. The Godfather of course! Why? Because we make you an offer you can’t refuse ;-). Enjoy 50% discount on Recruitee during 6 months! Until september 20 ?